Play against the clock and make a fast decision for the right move. Nothing for the slow thinker. 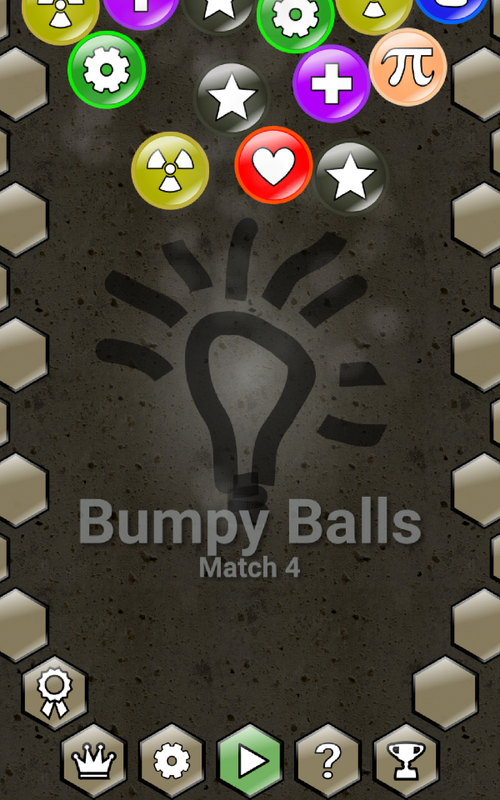 Other than the usual match 3 games, the balls in this game fall freely and are not bound to a fixed grid. So you have to adopt fast to new combinations. 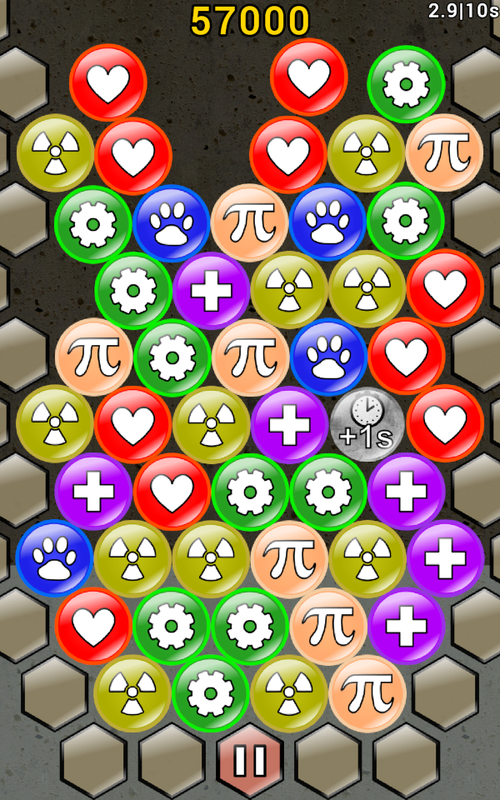 The balls arrange them self freely at a hexagon grid and burst when four or more are connected. Exchange neighboring balls to build clusters of 4, 5, 6 or 7 balls of the same color that give you points and additional time. Google play integration for social leaderboards and achievements. This is the free ad-supported version of the game.